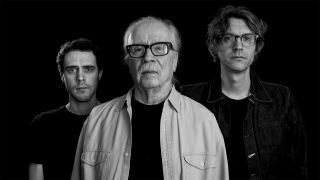 Master of horror John Carpenter has announced that he’ll release the official soundtrack to the new Halloween movie later this year. The film is due to hit cinemas from October 19 – and the soundtrack will launch on the same day on CD and digital platforms via Sacred Bones. Carpenter also served as an executive producer and creative consultant on the film – the first title in the series that he’s been involved with since 1982’s Halloween III. The soundtrack, which Carpenter created in collaboration with Cody Carpenter and Daniel Davies, is said to pay homage to the original Halloween score from 1978 and will feature several new versions of the iconic main theme. To mark the announcement, a short teaser trailer of the soundtrack has been released and can be seen below. Halloween: Original Motion Picture Soundtrack is now available for pre-order from the official Sacred Bones website. Carpenter will head out on tour from October 11.